Last year, Coloradans voted to make the possession of marijuana for personal use legal with Amendment 64. Since it was signed into law, the legislature has created regulations regarding its sale and use in Colorado. One of the questions frequently asked is whether a tourist to Colorado can buy marijuana while on vacation or otherwise visiting the state. The answer is yes. Adults 21 and over, regardless of residence, can purchase marijuana, at least once it legally can be sold. Stores selling marijuana to people without medical marijuana registration cards have not opened yet, but will as soon as January 1, 2014. 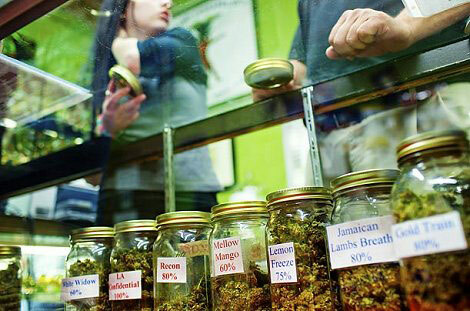 When they do, Colorado law limits a visitor to purchasing a ¼ ounce at a time. Transporting marijuana out of Colorado, even for personal use, is against the law, and is also a federal offense. There is a legal inference of impairment for DUI cases at 5 nanograms of THC in Colorado. Don’t bother looking for an expert to tell you how much that is because no one really knows. Colorado has an open container law for cannabis in automobiles similar to its open container law for alcohol. Remember, best policy is to always use caution and make sure that wherever you go, you know the law of the land. Ignorance is not an excuse (well, almost always). The last call you wish to make when visiting Colorado is to a criminal defense lawyer’s office.